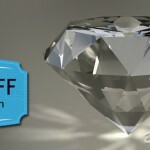 (*) 10% off coupon for all Bondiana’s 3D models online. Don’t miss it!!! Yes! You can get a 10% off Target coupon code for all our 3d models available for sale in CGTrader by Bondiana. We want to celebrate this new year with you! So, we do this special discount which is available for everybody until 31th of December 2017. How does this 10% off coupon work? It’s very easy! This entry was posted in News, Special offers, Various and tagged 3d, bondiana, bondiana3d, coupon, discount, model, models, sales on August 30, 2017 by Bondiana. 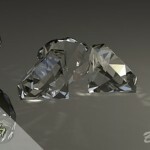 -20% off promotion in all of Bondiana’s 3D Model collection. -20 OFF! All of our 3d models collection! -20 Off! Oh, hi there! We are so excited that we almost forget to say hello! Yes, the summer is hot and so are our models!. Good news for everyone, we have all of our collection with an incredible -20 off! Run before it expires! You’ll find a lot of models for your games, projects, locations, and more! You’ll save money and time, what are you waiting for? This entry was posted in News, Special offers on August 21, 2017 by Bondiana. A new Featured Model is here! This time we want to offer a special discount for our gazebo 3d model. We lowered the price a 30% and you also can get an aditional discount from Cgtrader loyalty discounts. What are you waiting for? This low poly model is detailed and can help you saving time modeling. You also can check our collection because we have a lot of others models that could help with your work. This entry was posted in Special offers and tagged 3d, 3dmodels, bondiana, decoration, gazebo, model, offer, park on February 1, 2017 by Bondiana.